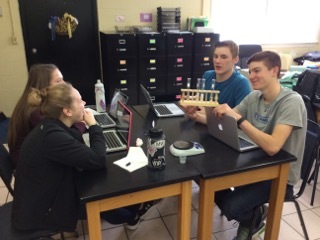 The students have been focused this week on learning about a special group of proteins called enzymes. During our enhanced schedule days the students conducted and Enzyme lab using potatoes and hydrogen peroxide. 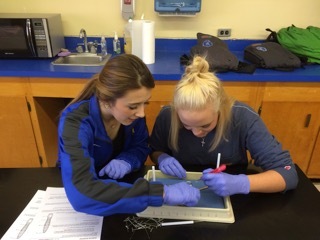 During the lab students used ground raw potatoes, diced raw potatoes, and cooked diced potatoes. All animal and plant cells contain the enzyme catalase. When catalase comes in contact with hydrogen peroxide it chemically breaks the hydrogen peroxide down into water and oxygen gas (bubbles). 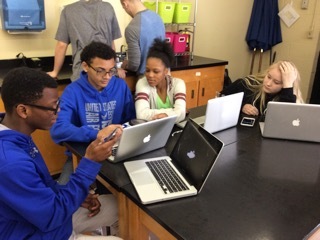 The objective of the lab was for students to determine how environments factors, such as temperature and surface area, affect the enzyme reaction rate. 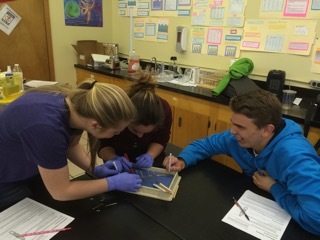 The students are becoming more comfortable with the process of dissecting and discovering unique anatomical features of each group of animals. This week the focus of studies has been on the group of animals classified as annelids. In addition to the earthworm, leeches, and marine worms belong to this group. Next week the students will study Gastropods, examples of organism in this group are squids, octopus, and nautilus. 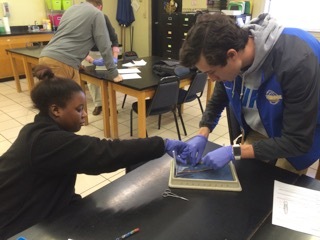 The students will dissect a squid. Next Friday, the Transportation CBL group in conjunction with the Clarksville Police will be staging a mock crash at the Cougar Sports Complex. Actors from our CBL group will be in the “crash”. Emergency vehicles, including a LifeFlight helicopter, will come to the scene as if it’s a real crash. All sophomore, junior, and senior students will be in attendance.